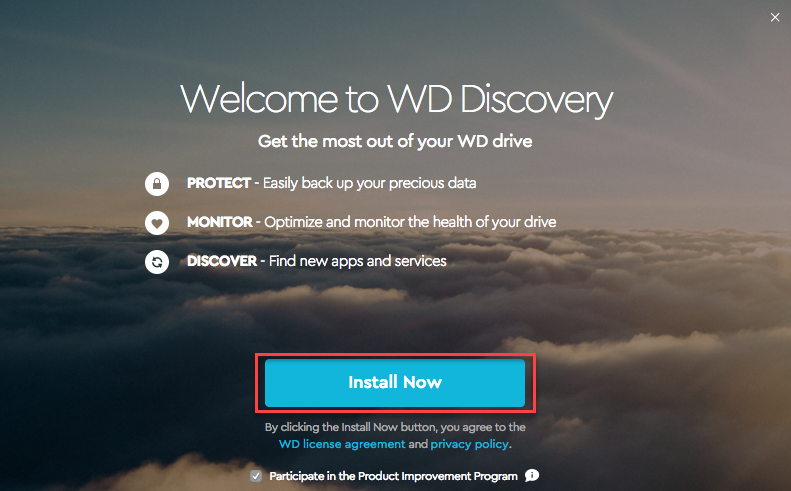 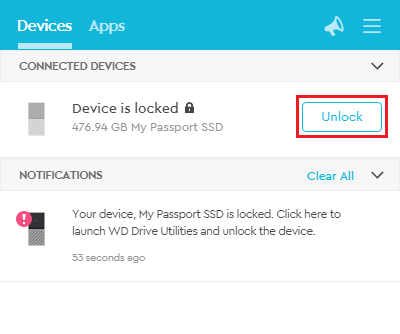 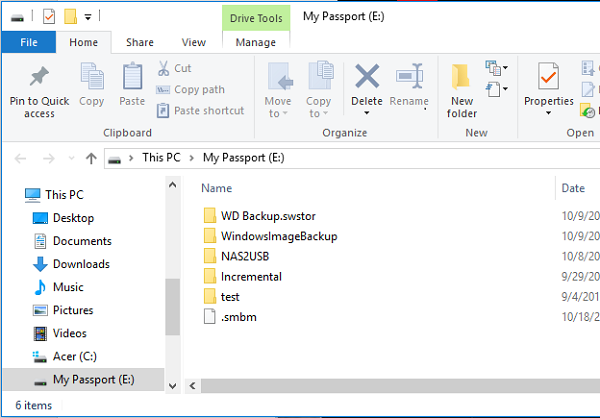 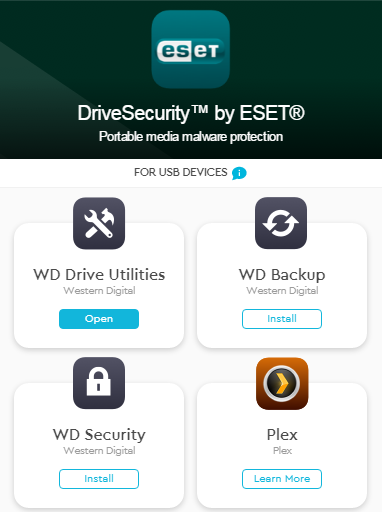 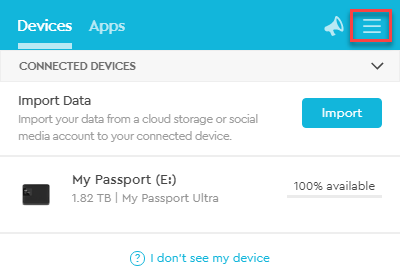 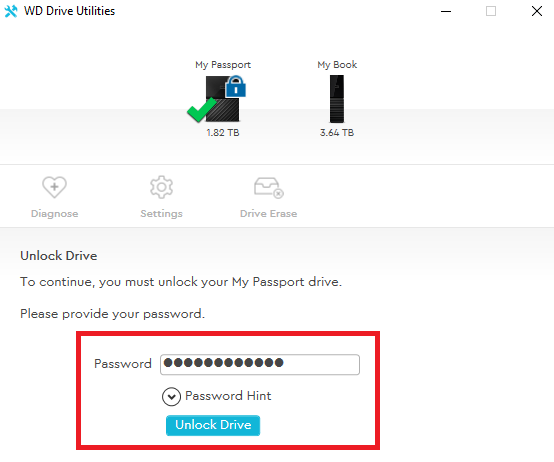 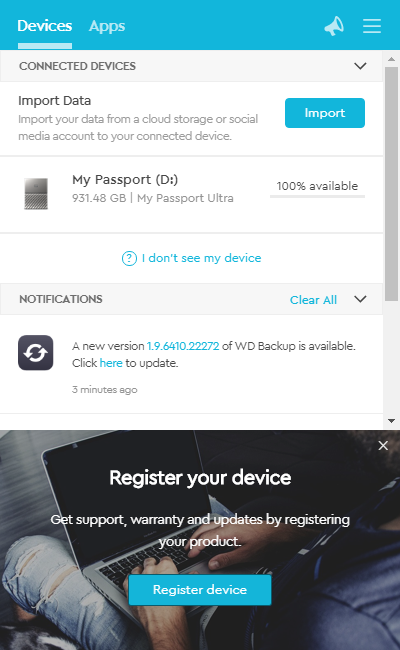 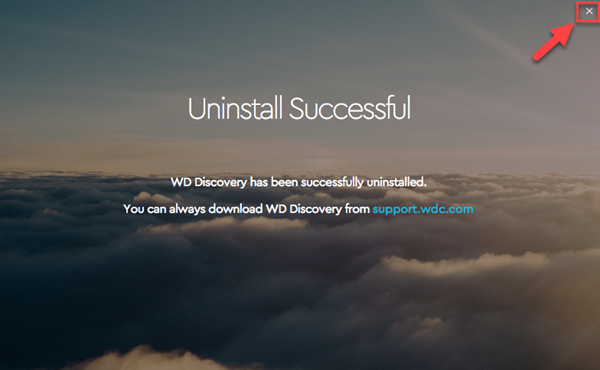 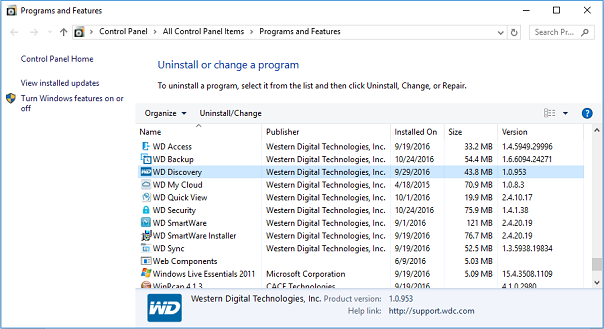 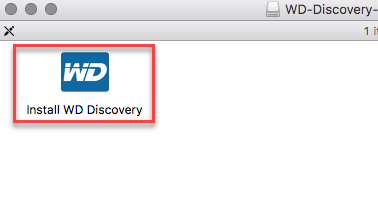 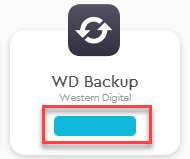 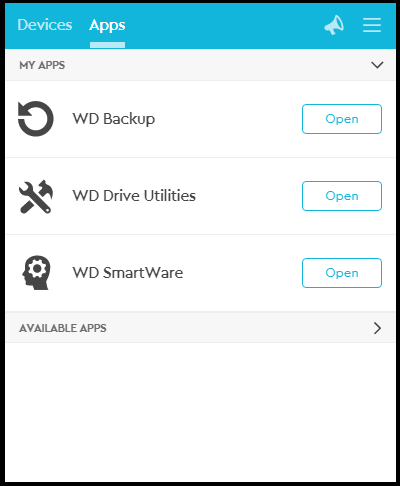 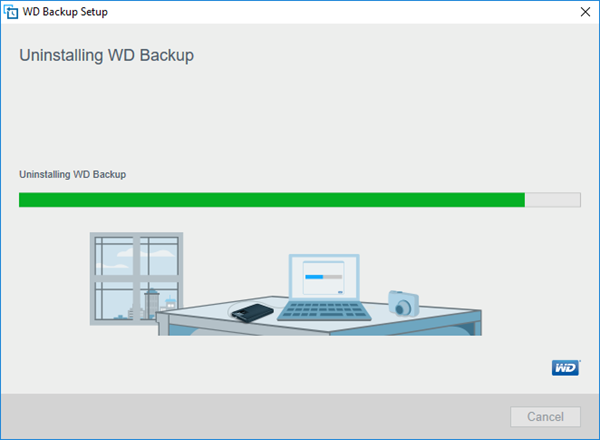 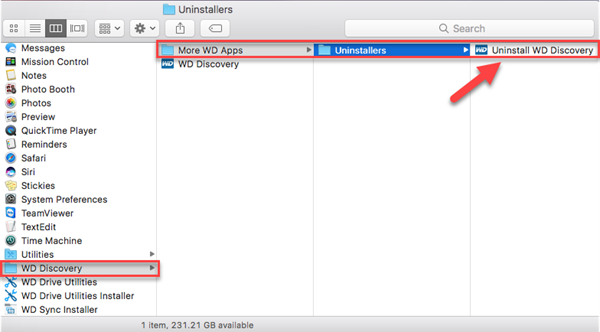 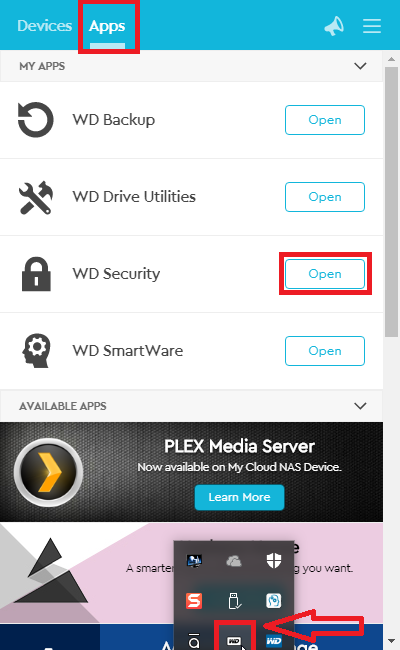 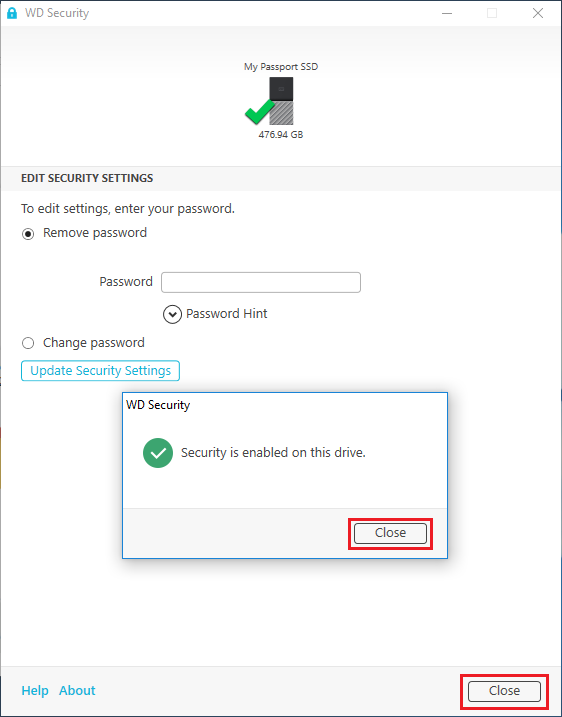 WD Discovery can be used to manage Western Digital Direct Attached Storage (DAS) products and My Cloud Home devices. 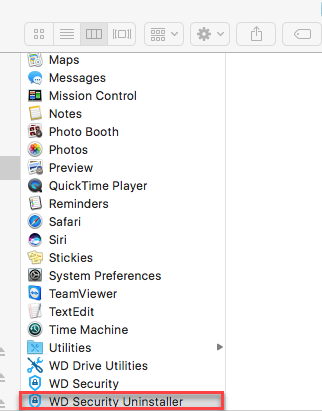 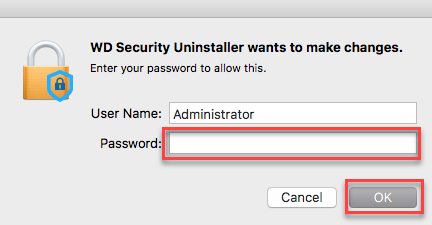 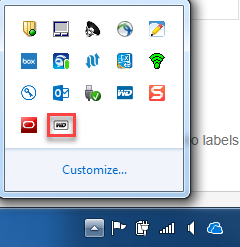 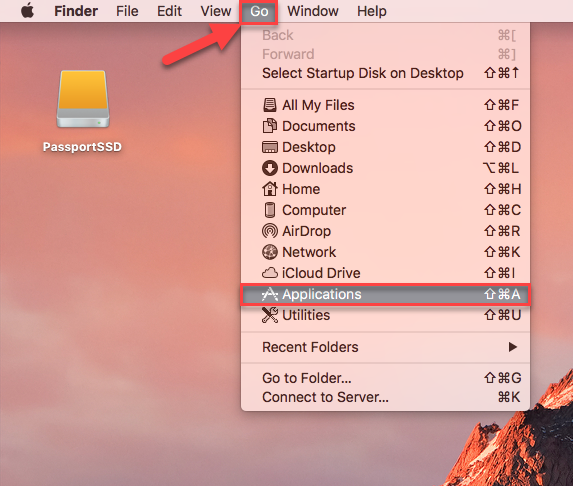 Selected State - When the system tray icon is clicked. 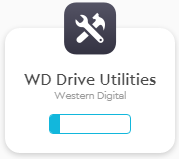 Activity In Progress - e.g. 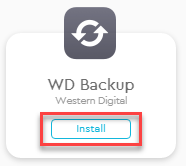 downloading software. 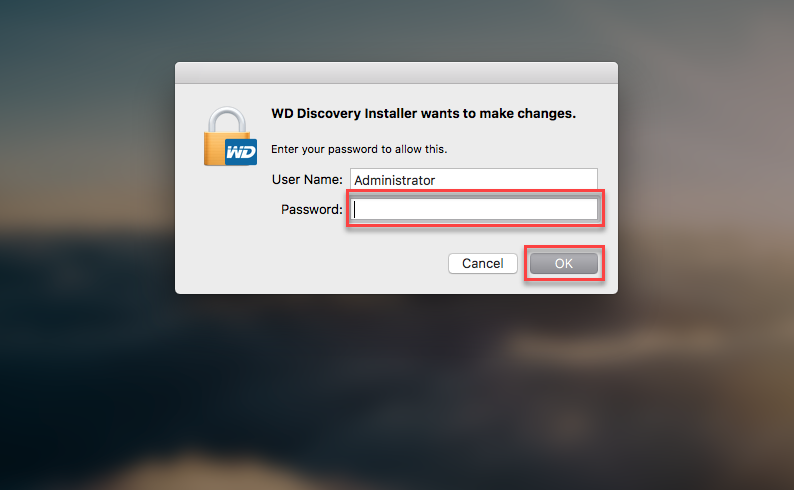 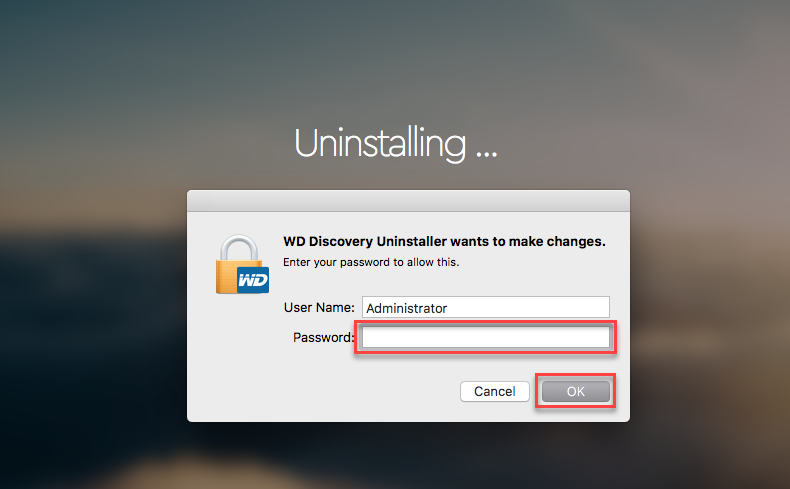 Critical Notification - An error within WD Discovery. 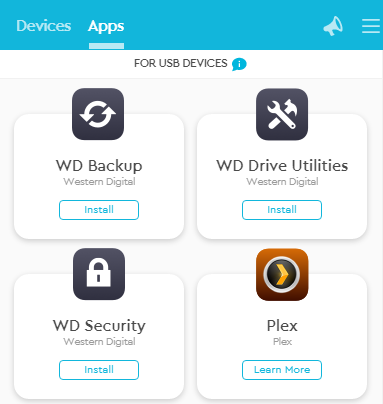 WD Apps are displayed at the top under the app banner. 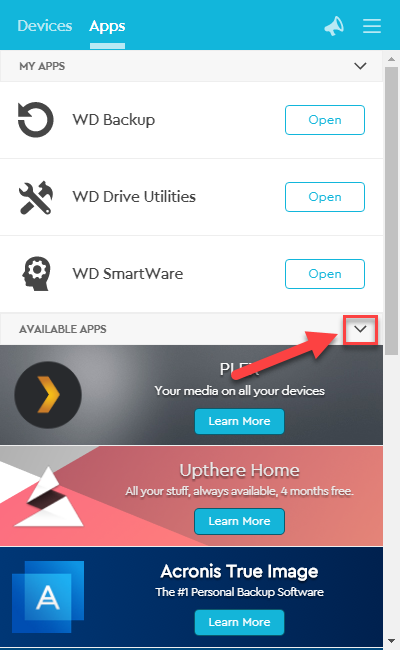 Scroll down to view 3rd party apps. 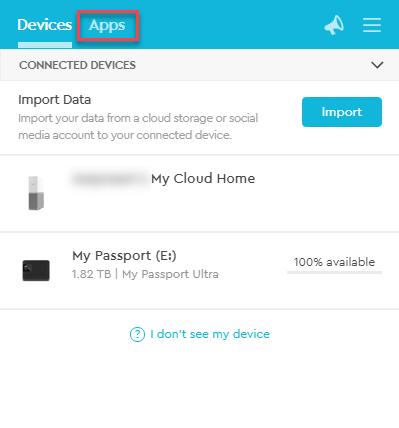 After the app installation has completed, the newly installed app is available and can be opened. 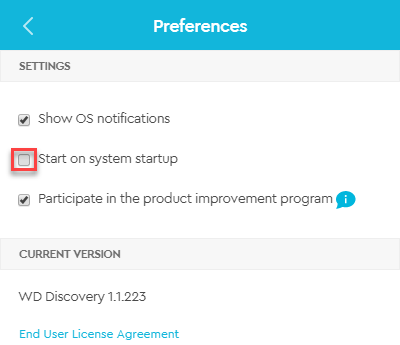 Apps that have an update will have an Update button under the Open button. 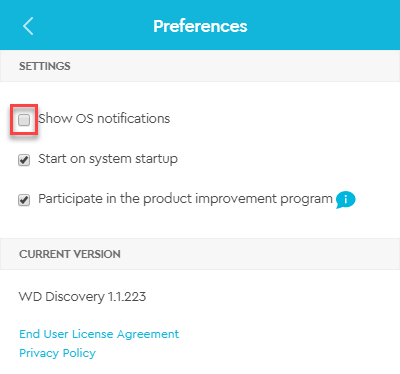 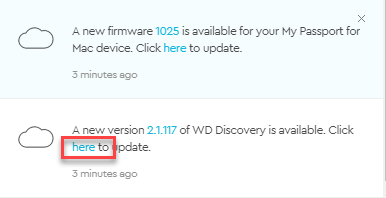 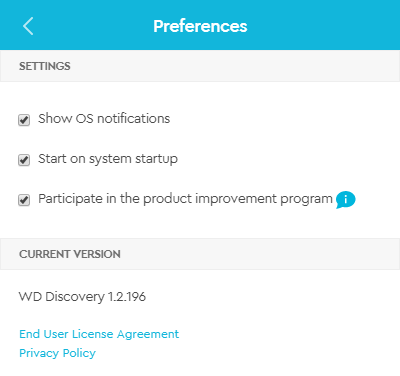 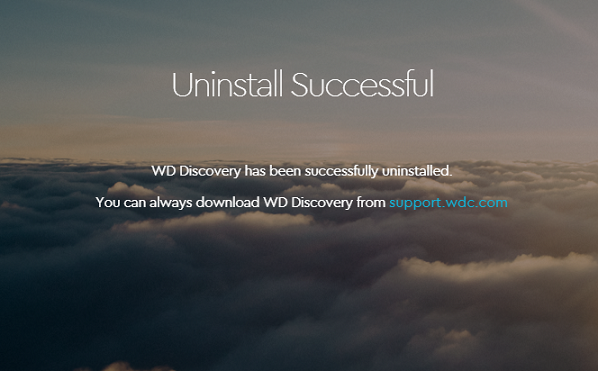 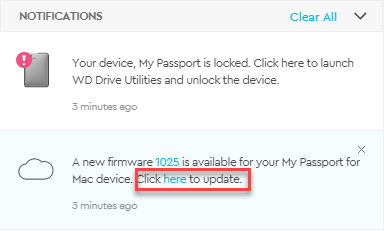 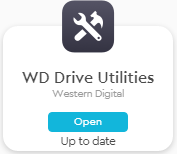 Updates for WD Discovery will appear in the notification window. 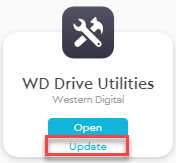 Click here to start the update process. 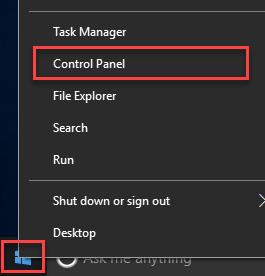 For more information on how to access the Control Panel please refer to Microsoft Article 13764: Where is Control Panel? 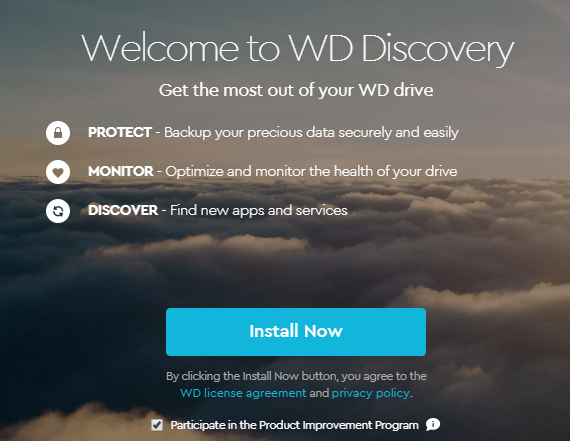 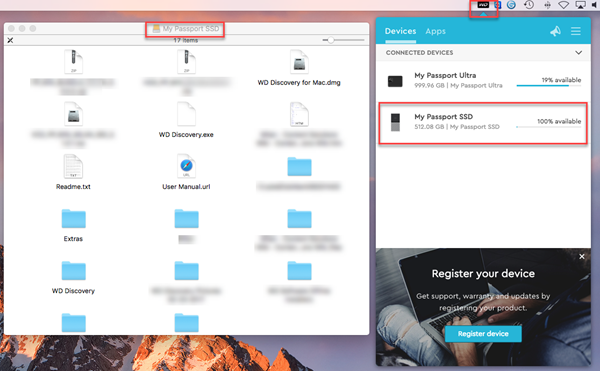 The My Cloud Home Desktop App comes preinstalled with the WD Discovery software. 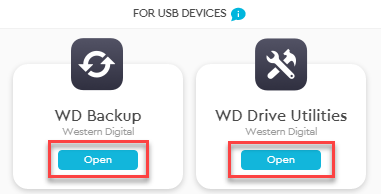 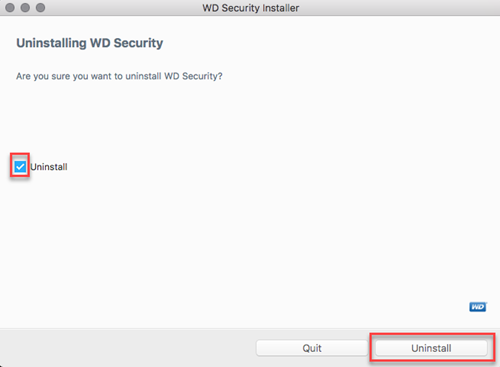 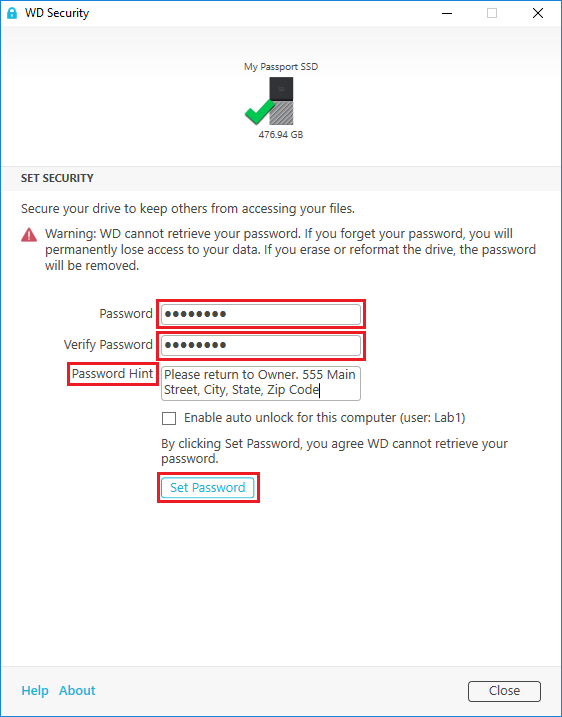 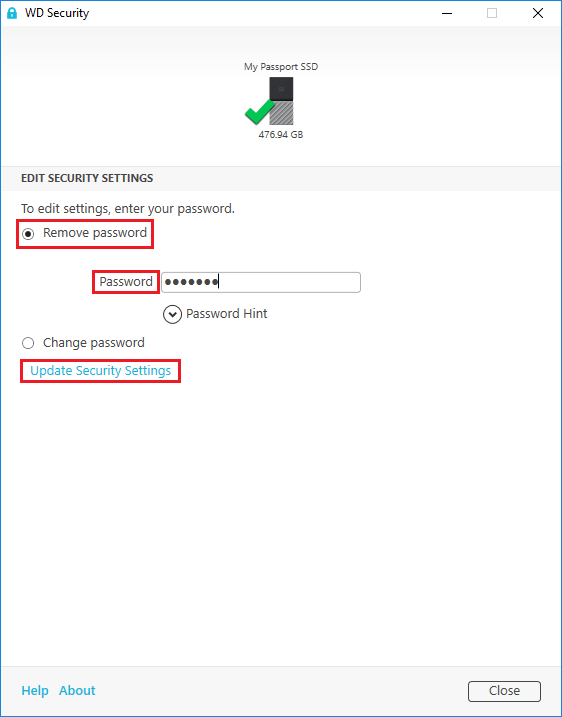 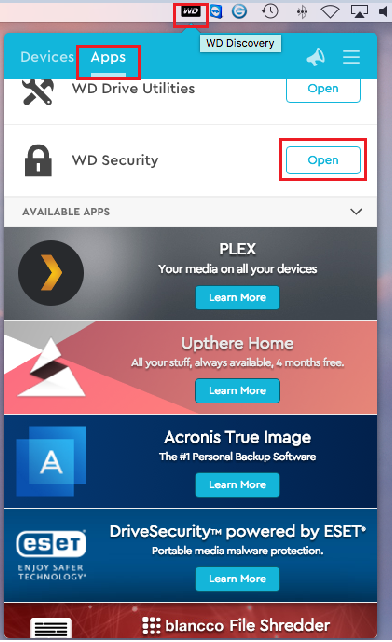 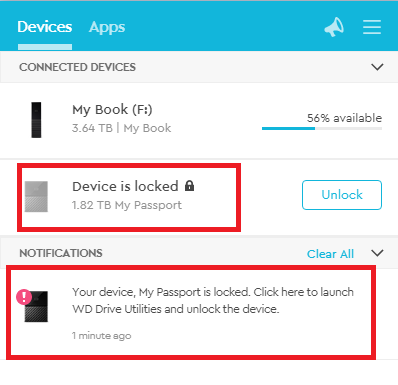 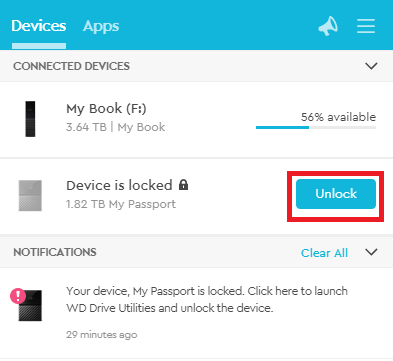 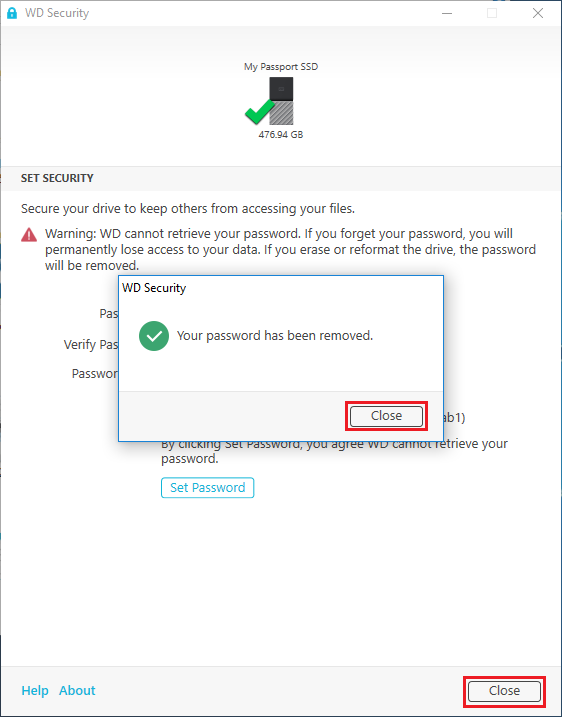 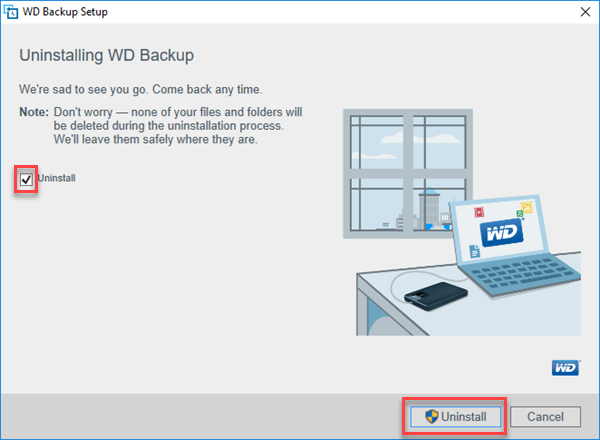 If there are no other WD devices connected to the computer, the following page should be displayed under the DEVICES tab. 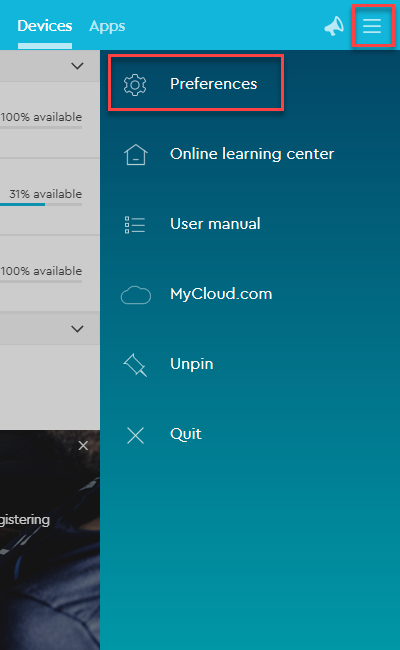 Click Log In. 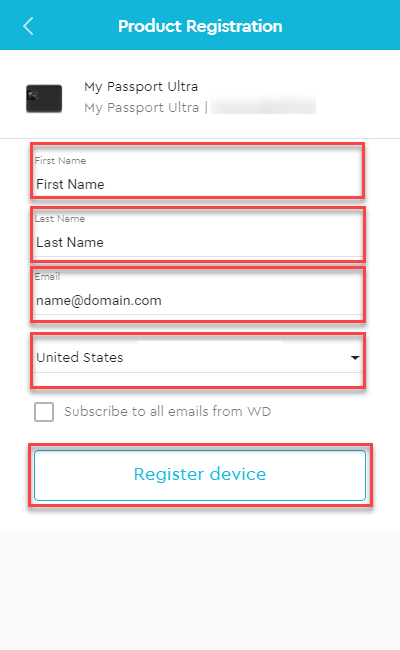 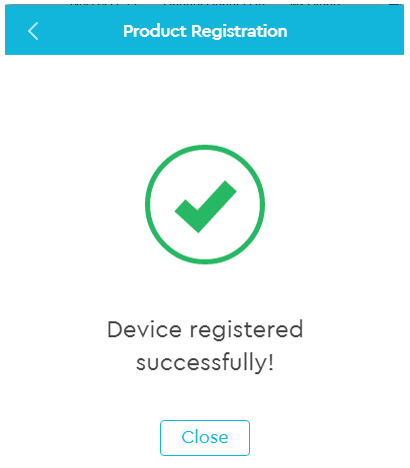 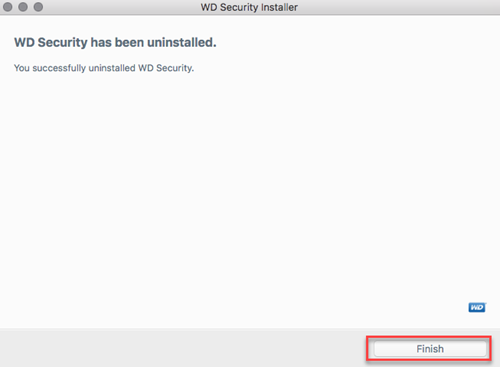 If a WD device is detected (the log in button is not available on the Devices tab), click the tab at the top right. 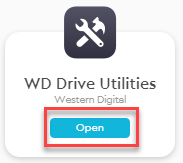 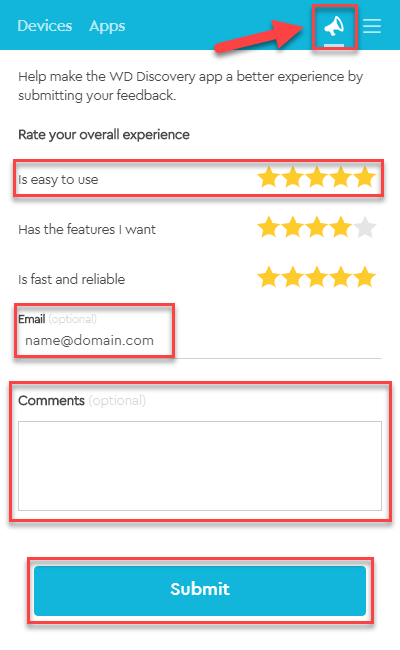 In the opened menu, click the Log In button. 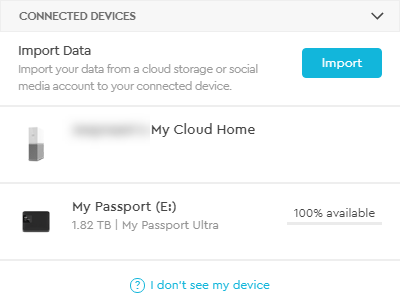 Enter your My Cloud Home credentials. 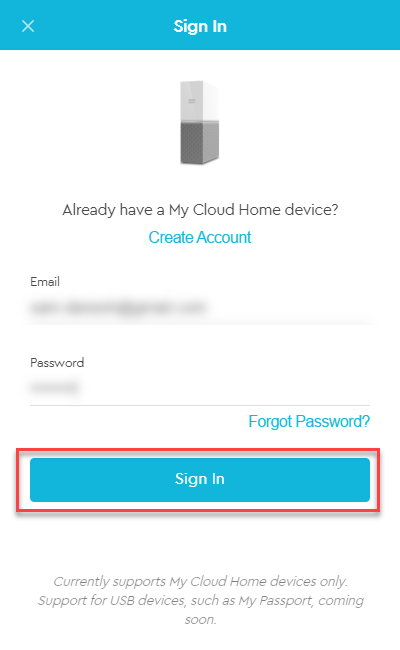 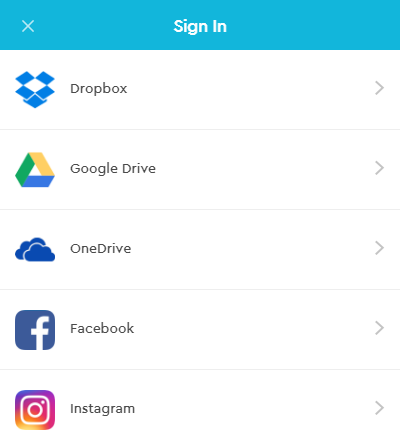 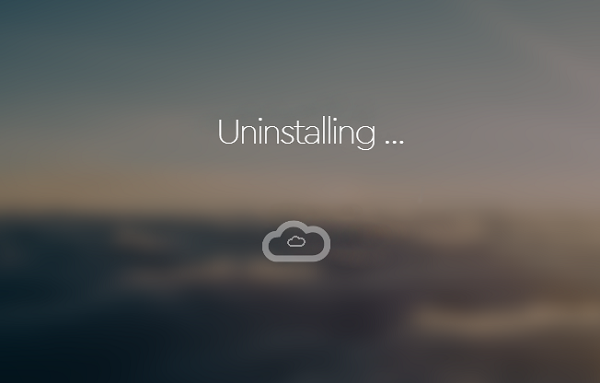 If you do not have a My Cloud Home account, follow the link to create one. 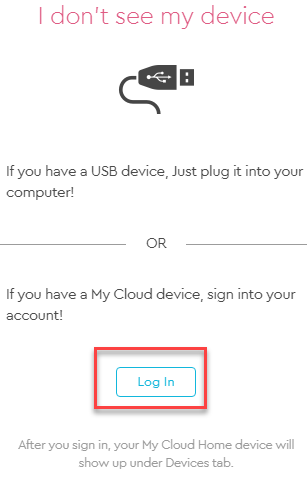 Once you've typed in your account information, click Sign In. 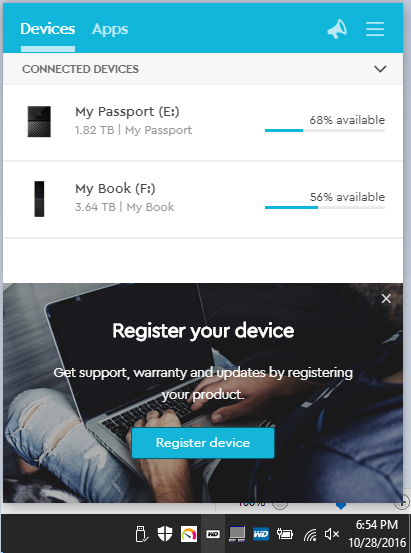 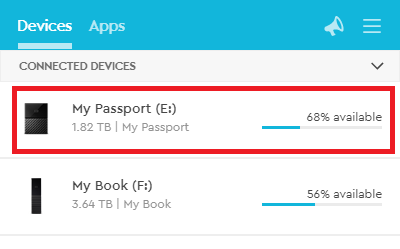 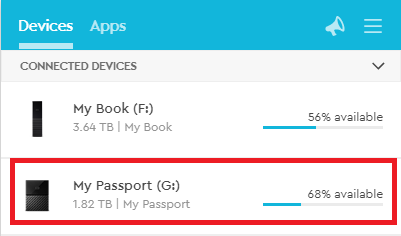 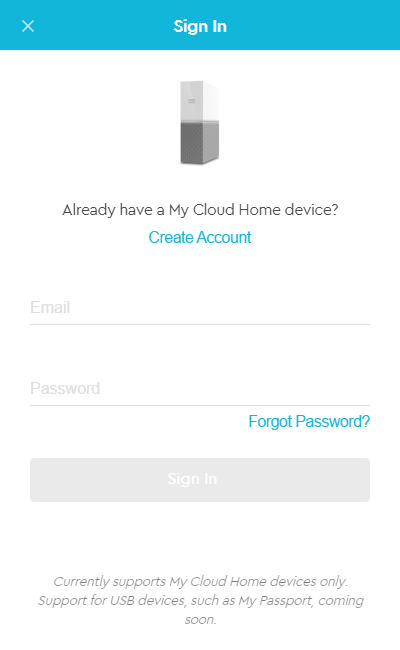 The My Cloud Home will be present under the DEVICES tab.